The firm has started trials in B'luru for apparel through Ajio Business, and plans to enrol more than 50,000 vendors. It’s looking to service a range of retailers, including those located in remote villages, they said. 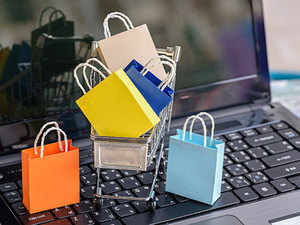 NEW DELHI | KOLKATA: Mukesh Ambani-led Reliance Retail is betting big on business-to-business (B2B) ecommerce with a digital wholesale marketplace along the lines of China’s Alibaba for products such as smartphones, televisions, garments, spices and soap, according to people aware of the plan. It’s looking to service a range of retailers, including those located in remote villages, they said. The company has already started trials in Bengaluru for apparel through Ajio Business, which plans to enrol more than 50,000 vendors in the coming months, the executives said. The pilot will shortly be extended to Andhra Pradesh and Telangana, they said. It will kick off proceedings in the Mumbai market next month with fastmoving consumer goods (FMCG) and grocery, followed by smartphones, televisions and home appliances. “However, the private brands sold through the Reliance Retail brick-and-mortar stores will not be available for B2B customers,” an executive said. Reliance Retail wants to tap an estimated 12 million kirana outlets, a majority of which source their products from traditional wholesale markets in the neighbourhood such as Sadar Bazaar in Delhi or distributors associated with large consumer companies. Modern wholesalers such Germany’s Metro AG, Walmart-owned Best Price, Reliance’s own network of cash-and-carry outlets called Reliance Market and others account for up to 10% of India’s overall wholesale market in some cities. The figure for FMCG products sold through organised wholesalers is lower at 3-4% of the total. The Reliance Retail platform will bring together large distributors and suppliers as well as small kiranas in a strategy the company has dubbed New Commerce, said one of the persons cited above. It will allow the servicing of orders of varying size, even small ones, through various modes. Buyers can pick up goods from sellers’ premises or have them delivered through a robust supply network that Reliance is creating, he said. The company is building fulfillment centres and infrastructure for the supply of FMCG, grocery and consumer electronics, the executives said. Reliance did not respond to queries. The size of the Indian wholesale market in food and grocery alone is about $600 billion. “Out of this, more than half is in the rural areas,” said Arvind Mediratta, managing director at Metro Cash & Carry India. “In tier-I urban cities — with more than 1million population and where modern wholesale is present — the share of modern wholesale would be close to 5%,” he said. In cities such as Bengaluru, where Metro operates six stores and in Hyderabad where it has four outlets, Metro Cash & Carry has a market share of 8-10%. Reliance Retail expects to maintain its high pace of growth by getting into B2B ecommerce since competition from large corporates is limited in the space, another executive said. Reliance Industries chairman Mukesh Ambani unveiled the conglomerate’s plans for a “hybrid online-to-offline” venture in July 2018 that would take advantage of the synergies between Reliance Jio Infocomm and Reliance Retail’s stores. Ambani had said the company also seeks to leverage millions of kirana stores as last-mile delivery partners for its ecommerce initiatives. ET reported last year that Reliance is working on a multi-channel platform on which goods and services can be offered and purchased from anywhere through online and offline routes. While products will be delivered to the doorstep, customers will also have the option of picking up their purchases from Reliance’s network of stores or the outlets of its last-mile delivery partners.